The Mace Pepper Gun is one of the most accurate defense sprays available. The OC pepper spray formula is contained in a replaceable cartridge. The cartridge utilizes advanced bag-in-a-can technology that allows you to spray a constant stream,reaching up to 20 feet, from any angle.The trigger-activated LED light disorients an attackers vision and helps to accurately aim the Mace Pepper Gun in low-light situations. Each Pepper Gun includes a 28 gram OC cartridge, a water practice cartridge, and batteries for LED light opperation. Nowadays pepper spray is the most accessible, cheapest and the most effective mean of self-defense, which does not cause irreparable harm to health. But, such a tiny thing will give you enough time to call someone or just run away in a dangerous situation. It is an invaluable protection for each woman. 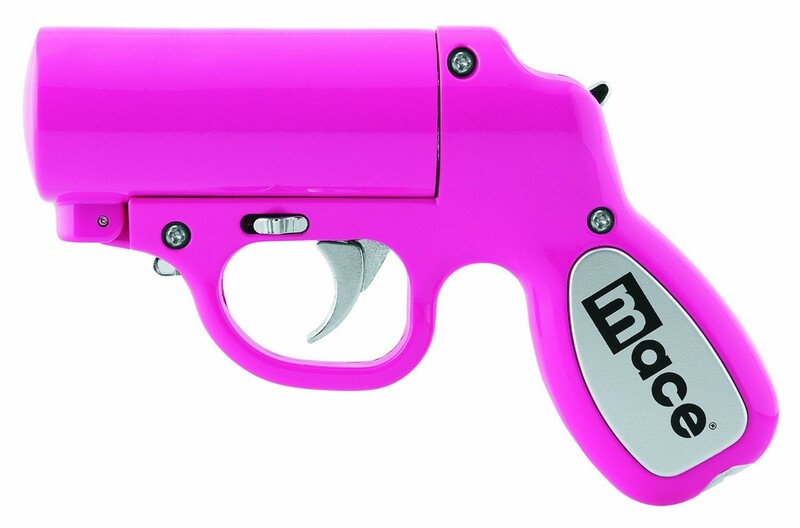 Hot pink mace pepper spray is a best choice for women because of its small size. It’s light and does not take up much space in a purse. Pepper spray is equipped with a comfortable grip made of a special material that does not allow it to slip out of your hand. Hot pink color of this model will help to find it among other stuff in your purse quickly. Most of the critical situations in which women are forced to defend themselves with sprays take place primarily in the darkness. To hold flashlight in one hand and spray in another one is highly impractical. That’s why this particular model is equipped with a flashlight. Integrated tactical flashlight is so bright and powerful that it will help you not only to see the criminal in the darkness clearly, but to blind him for a while. 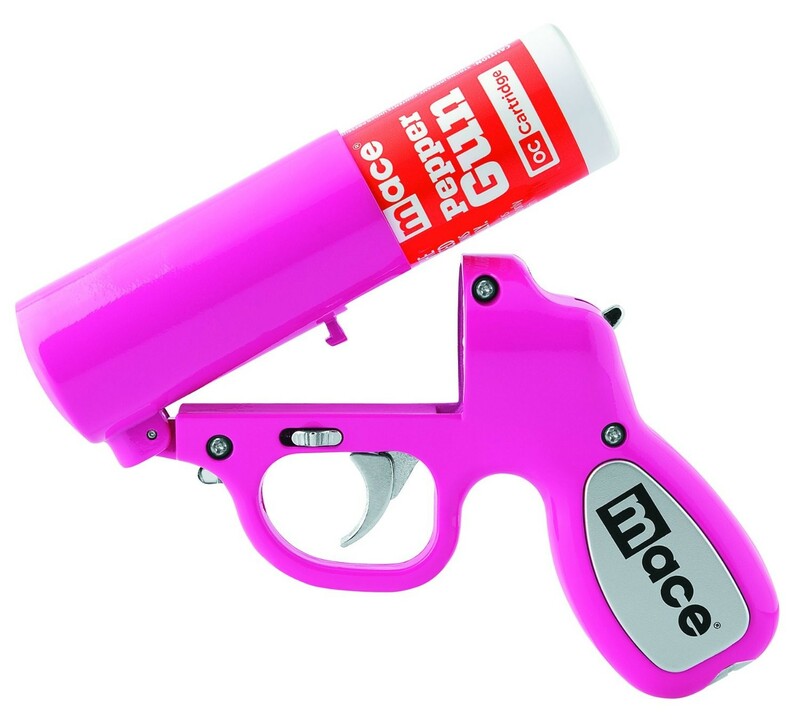 Pink mace pepper spray gun is also easy to recharge: just zoom the muzzle and replace the cartridge – it’s ready to be used! You don’t need to change batteries all the time as the flashlight is LED and therefore it doesn’t require a lot of energy. So, as you see it the pepper gun is really easy to be used, nevertheless read the instruction and first-aid directions included with your pepper spray prior to use it. All Mace brand pepper sprays are available for sale and wholesale in our online shop on the web-site. It gonna be the best and useful present for your beloved ones for any occasion! 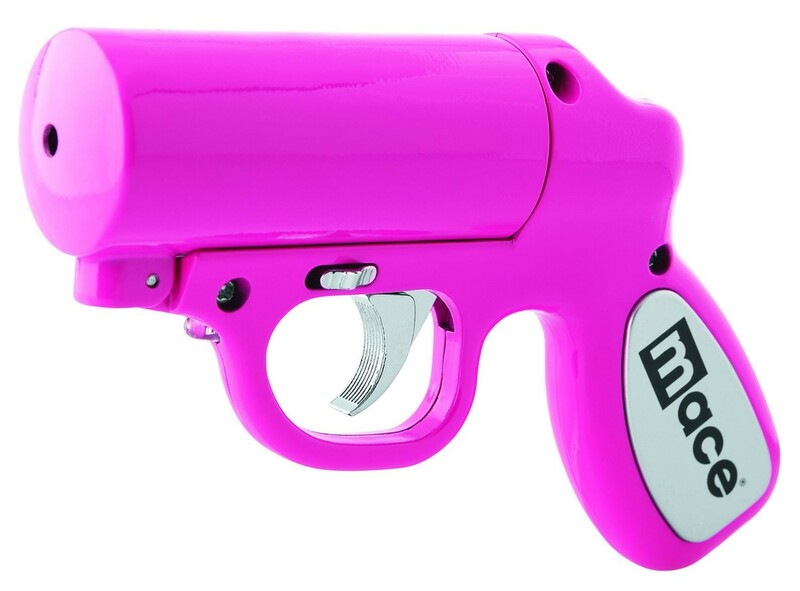 Hot pink mace pepper spray is a safe, effective, and non-lethal mean of self-defense for all women! 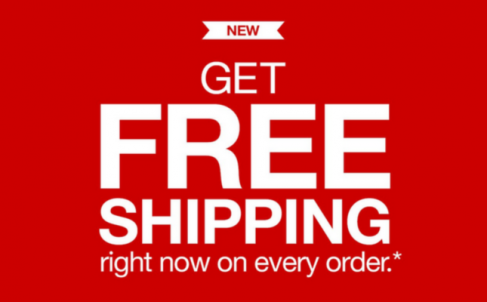 Shipping of all self-defense products is available.